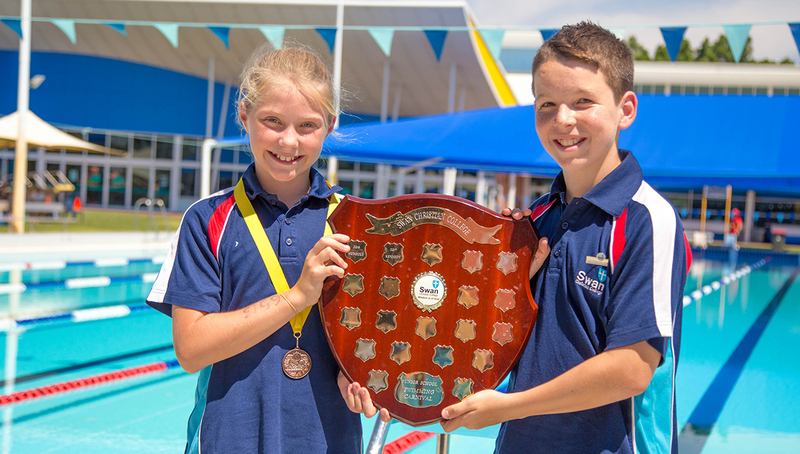 On 25 February, the Junior School held their Swimming Carnival at Bayswater Waves. Students from Years 4-6 had the opportunity to participate in different races throughout the day. After a morning of racing through breaststroke, backstroke and freestyle events, the relays races began. This seemed to bring out the competition between the different Houses; it was great to hear all the chants and cheers as the swimmers participated in the races. It was a fun (and loud) way to end the carnival! Throughout the day, there was a close competition between Shenton and Kennedy, but in the end, Shenton took the shield.